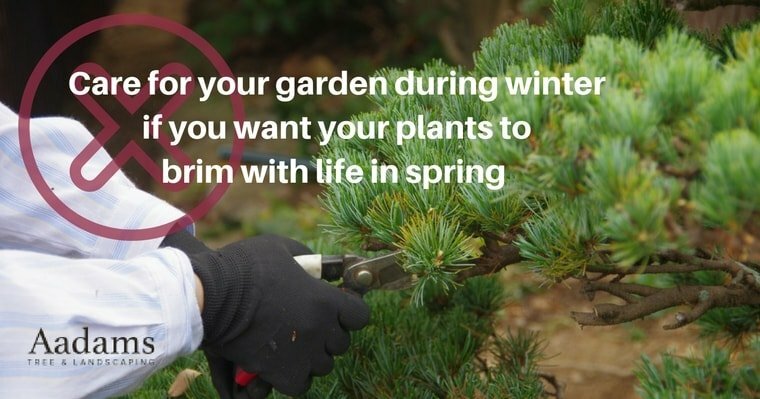 The cold of winter causes plants to go dormant, but there is still a lot you can do to care for your garden in the wet winter cold of the Seattle area! Similar to the way we change our engine oil to prepare for the warmer spring weather, we need to prepare our landscape and gardens so that these can bounce back to life when spring finally comes our way. With 35 years of experience in landscaping and safe tree removals in the Seattle area, our experts have put together these top tips for garden and lawn care in the Seattle area during winter. We advise all to exercise caution when caring for their landscape during the slippery precipitation. Caring for your garden in the winter doesn’t take more than 20 minutes and you will only need to do so once or twice. As expert landscaping artists in the Seattle area, we have seen how these practical care tips make the difference between a peaceful, vibrant home environment, and a dull, messy backyard. Fruit trees. Rake up and dispose of any fruit that may have fallen to the ground. Leaving the old fruit on the ground can invite unwanted pests once things start to thaw out in the warm spring days. Vegetable gardens. Clean out your vegetable gardens by removing any veggies that have fallen to the ground and that are still healthy. Remove diseased plants. Since growth is still dormant throughout the final weeks of winter and early days of spring, now is a good time to remove trees or plants that had become infested or diseased. Time for a new start in the new year! Pro Tip: Remember to check your city’s disposal requirements for organic waste. Properly dispose of any fruits or veggies that look diseased, do not use these for compost. Plant-life is still dormant during these cold months up in the Pacific Northwest, so it is wisest to hold off on pruning. The best time to prune your plants and trees for rapid growth is until the last weeks of winter or early spring. For plants that bloom or bear fruit on old wood, the best time to prune is until AFTER they have reached full blossom; this usually takes place in late spring or in the early weeks of summer. Remove annoying bushes. Seattle’s constant rainfall and the cold of winter fosters prime conditions for finally getting rid of pesky bushes around your property. The soil will be wet, the leaves will have fallen, the roots will be soft and dormant, so it is much easier to pull them out. Blanket your soil. After the first frost day of the winter (when the temperature reaches 36 degrees Farengheitght), blanket some of the twigs and leaves you removed from your garden to insulate your plants and infuse some nutrients into the ground. Putting fertilizers at this time of the year would prove to be useless. Save that fertilizer for the spring when plants start to brim with life. Winterize your pipes. If you haven’t already done so, contact our natural pools and garden pond specialists in Seattle to help you winterize to your pipes, pumps, and outdoor water sources. Keep your ponds and fountains in check. Remember that water expands as it freezes, so be sure to keep water levels lower than usual and remove debris (such as fallen leaves and branches) from your natural pools and ponds. Give it a little love. Although dormant, most plants still need a little water in the winter. If you are growing a garden in containers or raised platform beds, remember to continue watering them a little, especially if they are situated under your eves. 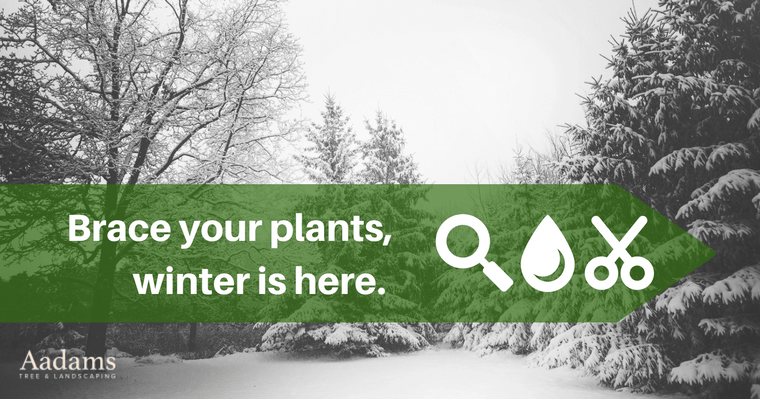 Pro Tip: Check up on your plant’s individual water needs in the winter and give them the water they need to survive the winter and bounce back when spring gets here. Remembering to clean out your garden, pools, and ponds will keep things in top shape for landscaping and replanting in spring. These tips vary depending on where you live in the Pacific Northwest, what type of landscaping you have, and what type of conditions you live in, but they are a general best fit for all. We are eager to see all the beautiful gardens and ponds in our communities when spring gets here. Until then, remember to schedule your landscaping and natural pond experts in Seattle to help design the backyard of your dream. What are some of your top tips for caring for your PNW gardens? Let us know in the comments, and we will feature the best ones!